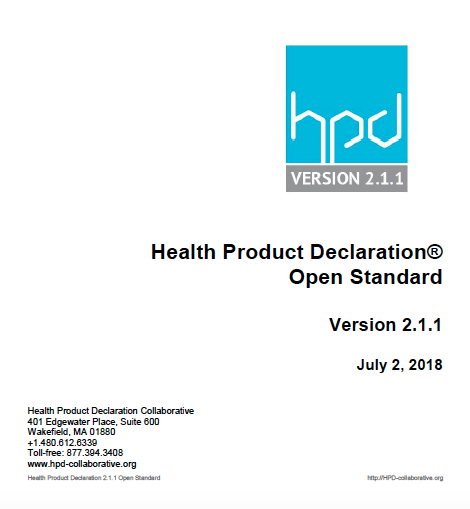 HPD Open Standard V2.1.1 was released on July 2, 2018. This Release provides the official Standard document, as well as descriptive materials that explain updated features. Full Implementation of HPD v2.1.1 was completed on December 17, 2018 with the full implementation of HPD Builder 2.1.1, HPD Open Standard v2.1.1 is now the “Effective” version of the HPD Open Standard, with an “Effective Date” of December 17, 2018. The first phase of the HPD Builder 2.1.1 rollout, the new User Interface, was completed on October 1st, 2018. The remaining changes to HPD Builder 2.1.1 were completed on December 17, 2018. As of this Effective Date, all newly published HPDs will need to be compliant with HPD v2.1.1. New HPDs created using the HPD Builder, and any other Standard-compliant automated tool, will automatically be created under HPD v2.1.1. Within the HPD Builder tool manufacturers will, at their option, be able to update an existing HPD v2.1 to the v2.1.1 revision. HPDs completed under previous versions of the HPD Open Standard will remain valid through their existing expiry dates. New to HPD v2.1.1, manufacturers will now have pathways that clarify how they should report on products with “Special Conditions”—situations where the already-defined HPD methods cannot be applied, due to material characteristics. Also included are updates to strengthen the consistency of Hazard Screening Methods. 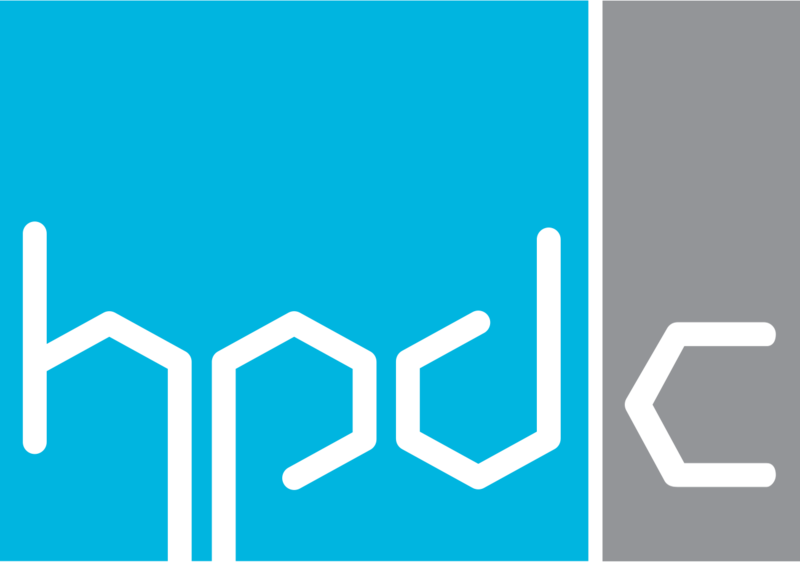 HPD Open Standard v2.1.1 rigorously defines, using Emerging Best Practices guidance, when Special Conditions apply to selected materials and substances, and how manufacturers can characterize a Special Condition in a completed HPD. Importantly, HPDs developed using HPD-defined Special Conditions will be able to qualify for the key LEED v4 credit, “Building products disclosure and optimization: Material ingredients,” Option 1. Currently, HPDC has released Special Conditions guidance for four situations: biological materials, geological materials, mixed recycled content, and electronics. Our volunteer committees and additional guest experts are working on additional Special Conditions, including polymers and metal alloys, and are poised to release new guidance as it is completed. Note that Special Conditions cannot be applied to a material or substance in an HPD until guidance is posted in Emerging Best Practices for that material or substance. Hazard Screening Methods in HPD v2.1.1. The HPD v2.1.1 release also addresses potential inconsistencies in hazard screening results of HPDs created using different automated hazard screening tools. HPD Collaborative worked with Clean Production Action and its GreenScreen® List Translator™ automators to develop the “Harmonized Methods for Hazard Screening” in HPD v2.1.1, now included in Emerging Best Practices guidance. This harmonized method addresses the frequency of updating and methods for handling chemical groups in lists used in GreenScreen List Translator and HPD Hazard Warning listings. In addition, HPD v2.1.1 now provides more details on other aspects of hazard screening such as criteria for selecting HPD Priority Hazard Lists, definitions of hazard screening terms, and specific requirements for hazard screening for HPDs. Consistent with HPD v2.1 in Other Areas. HPD v2.1.1 continues to offer all previous improvements made in the v2.1 release of the HPD Open Standard in 2017. Key features include full harmonization with LEED v4 credit requirements, and integration of a LEED “pre-check” indicator. The latter enables project teams to rapidly identify, for further review, products that have the basic requirements to be compliant with the LEED v4 Material Ingredient and Disclosure credit.